Historically, the Ho-Chunk Nation has observed the day after Thanksgiving as Ho-Chunk Day for more than a decade. Two years ago and every year since, the city of Madison has proclaimed the fourth Friday in November as Ho-Chunk Day. 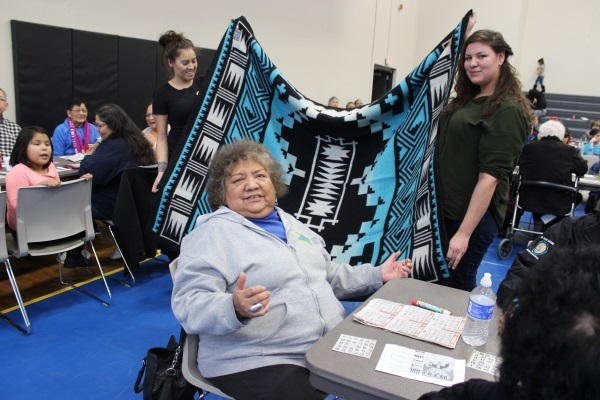 This year Ho-Chunk members gathered on Friday, Nov. 23, at District 1 Community Center in Black River Falls to celebrate the holiday. Members registered at the door for raffle prizes, which were given throughout the event. A total of 157 people registered at the event. The day started at 10 a.m. with songs and dance and then followed with a meal at noon. After lunch, members played bingo and winners received a number of high-quality prizes.